Cut the chicken into pieces preferably bigger than the usual size. Wash it and keep aside. Marinate it with turmeric powder, salt, ginger-garlic paste and curd and mix it well with hand and keep it for about an hour. Now, add red chilly powder, green chillies, coriander leaves, mint and garam masala in whole and mix well with the hand. 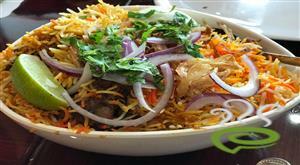 :- Be careful if the oil is over heated, the moment u drop onions in it, it may bring the boil. Take the onions out and keep the oil to cool. Add the 1/3 of the oil to the chicken marination. Keep the chicken for say 2 - 3 hrs. :- The longer the marination beter the taste. Take a good amount of water in a big vessel and add the whole garam masala (the remaining 50 gm) and the bay leaves and salt as per the taste and bring it boil. After the water comes to boil, add rice to it and cook the rice still its half done. When the rice is half cooked, drain out the water. Put the marinated chicken in the bottom of the vessel (a wider vessel is preferred) and on top off that place the half cooked rice. 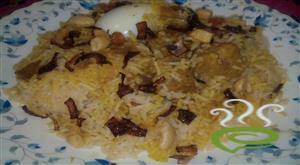 :- Rem it better be quick so that the heat from the rice is not lost. Make the surface flat and even. After that, take a long spoon and make straight hole in the rice from top to the bottom as many as possible. Add the remaining oil, lemon juice and synthetic colour (add in little water or u can add it the little prtion of lime juice or even milk) and place the vessel on the high flame. Cook the biriyani on high flame say abt 15 - 20 mins or the better way is cook it till u hear the oil slattering in the bottom (for that u have to observe it by placing ur ear near the bottom of the vessel ;-)). 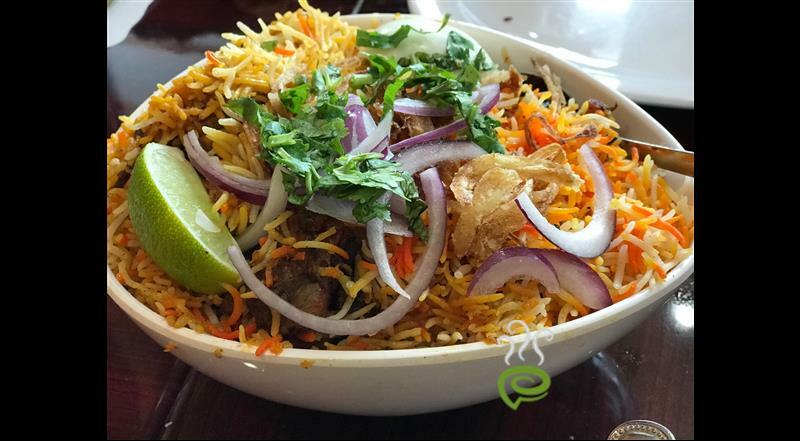 Keep the flame low and sim the biriyani for another 10 mins. Take the vessel down and mix it well top to the bottom of the vessel. :- You can use another vessel for this. 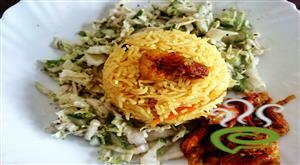 Garnish with the golden brown fried onions. 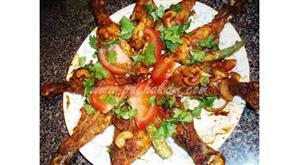 :- Add 2 tbsp of dhaniya powder and 2 tbsp of jeera powder in the marination. 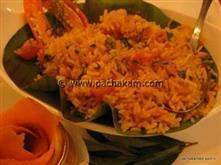 :- Salt has to be added to marination separately and to rice separately. 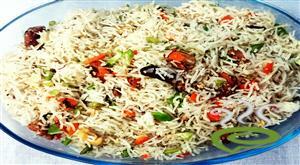 :- Should be patient enough to stand there all the time as the cooking of rice is quite tedious. 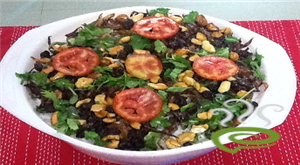 :- Chichen/mutton`s quantity is either equal or 1/4 - 1/2 kg more to the rice but not less. 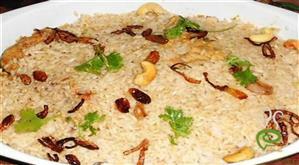 This is the actual recipe for kachi biriyani.